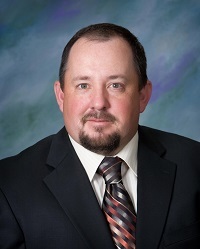 Creade V. Brodie, Jr. was re-elected to the Board of County Commissioners in 2018 for a third four-year term. He was first elected in 2010. Commissioner Brodie is a 20-year employee of the LaVale Sanitary Commission where he is the Maintenance Supervisor. He is a native of Allegany County and a graduate of Beall High School, Frostburg. Commissioner Brodie is a graduate of The Academy for Excellence in Local Governance, a professional development program associated with the University of Maryland School of Public Policy. During this term of office Commissioner Brodie and his fellow County Commissioners serve on the Allegany County Board of Health and are members of the Cumberland Allegany County Industrial Foundation, Inc. (CACIF). Commissioner Brodie also serves on the Potomac Highlands Airport Authority, Inc., The Tri-County Council for Western Maryland, Inc., and the Allegany County Human Resources Development Commission. Commissioner Brodie is a member of the Allegany County Drug and Alcohol Abuse Advisory Council and the United States Department of Justice, Federal Bureau of Prisons, Federal Correctional Institution Community Relations Board. Commissioner Brodie and his wife, Catrina, reside in Loartown. They are the parents of two grown sons, Creade Brodie III and Braxten Brodie, and have two grandchildren.